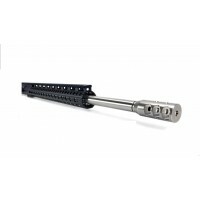 AR-15 .204 22" Diamond Complete Upper Receiver is your next generation varmint long range build. This upper takes all the standard AR-15 components. 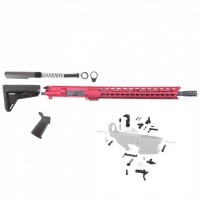 No other modifications to your AR-15 rifle is required - uses your standard 5.56 BCG, Charging Handle and magazines. 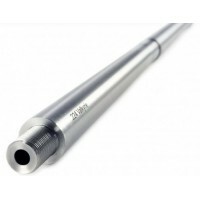 All you need is this upper to go into a completely new caliber - .204. 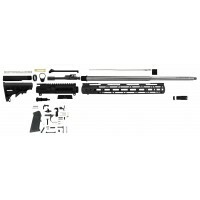 The upper is custom build to order, please allow 7-10 days for completion. Barrel - 22" 416 stainless steel bull barrel, diamond flutes. Nitrite Plating is hand-made, done upon request. Hardened to 26-32 rc and stress relieved. Chambered in .204 with 1-12 rh twist. .936 under gas block. Threaded 1/2X28. M4 feedramps. Rifle gas system. 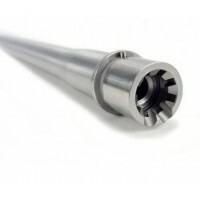 Barrel is finished off by our stainless steel Competition Muzzle Brake. 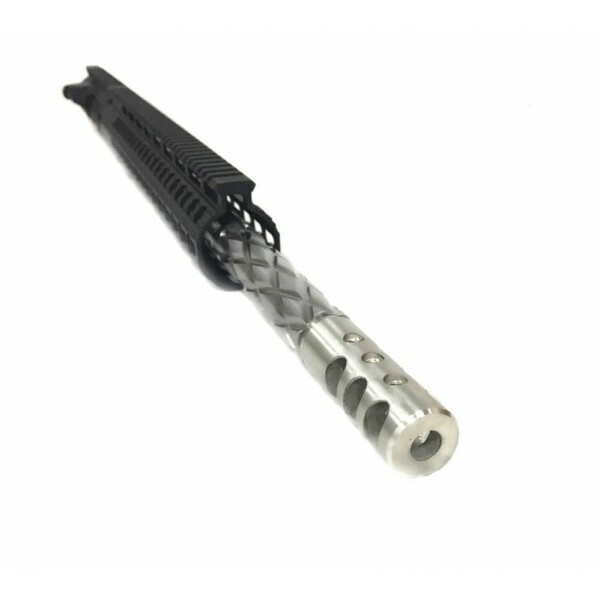 Handguards - 15" rifle-length keymod free float rail. Made from aircraft quality aluminum and black hard coat anodized. Rails may differ in design, based on stock availability, the same excellent quality. Also, you may choose quadrail option available on top of this page.